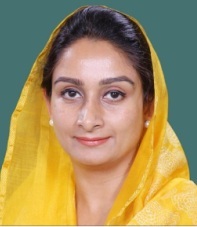 New Delhi, April 29: An “aggressive” Rahul Gandhi was tamed by Punjbi lioness Harsimrat Kaur Badal, who not only rebutted each of his points, but also set the House on fire with her super aggressive posture against the Gandhi scion. She even compared Rahul Gandhi to a ‘tubelight’ while talking to the reporters outside the Parliament. Coming down heavily on Rahul Gandhi, Harsimrat Kaur asked him where was he for the last two months when farmers were at the receiving end. “Where were you when farmers’ produce was being damaged in rains and hailstorm. You were away holidaying and have come back now to catch up with the farmers by visiting Punjab. The Punjab government has lifted majority farm produce already. You should visit your own constituency Amethi first,” she asked Rahul. Union Minister Ram Vilas Paswan, responding to the Congress leader, said: “We are doing the work which you didn’t do for the nation.” Earlier, Rahul Gandhi targeted Prime Minister Narendra Modi in the Lok Sabha, saying he should visit farmers in Punjab. “I was in Punjab yesterday (Tuesday) and met farmers at the mandis (markets)… Farmers are crying and Haryana agriculture minister says those who commit suicide are cowards,” Rahul Gandhi said, raising the issue in the Lok sabha during zero hour. “Government says there should be ‘Make in India’… It is our government, your government but not farmers’ government,” he wondered. “Our prime minister is on tour of India, he must also go to Punjab. He will know what is happening… Farmers growing wheat is also ‘Make in India’,” he said taking a jibe at the prime minister. The attack resulted in a ruckus in the lower house, with members of the ruling alliance protesting the comments.